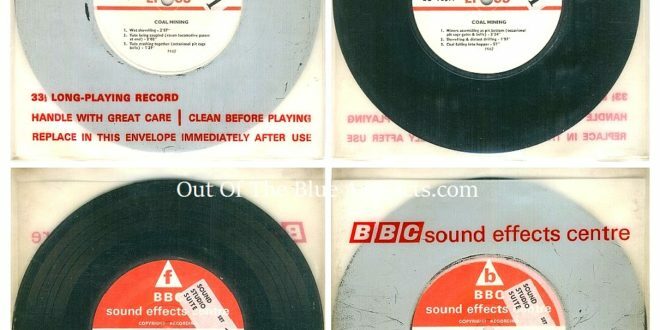 BBC Sound Effects Dept Records Mining Sounds. 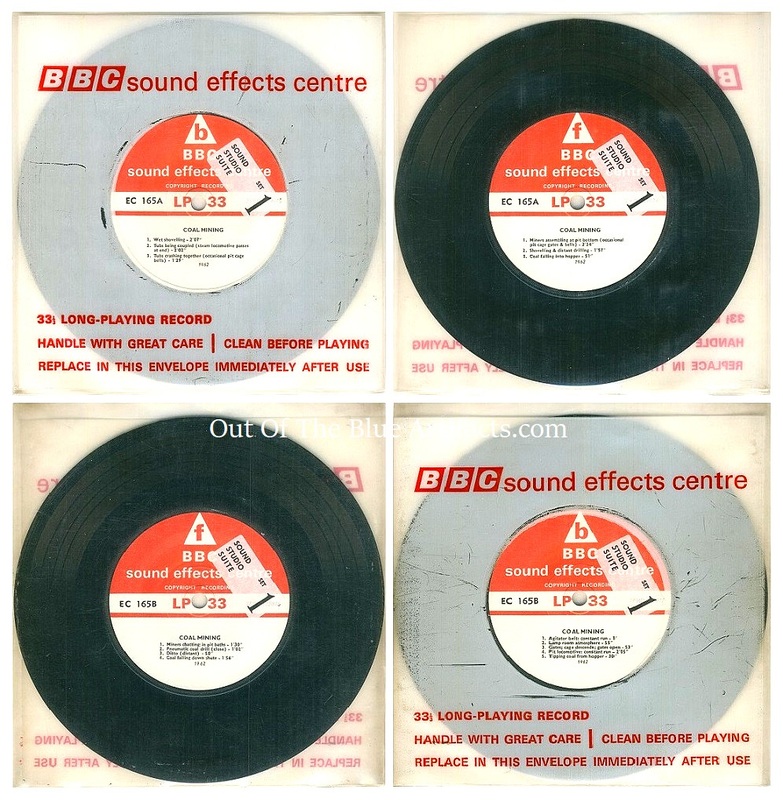 Two 7″ inch vinyl records from the BBC Sound Effects Dept. The both records have various noises and sounds recorded in the colliery industry connected with day to day jobs. They are 33 1/3 rpm and numbered EC-165A and EC-165B. (showing the 4 sides of the 2 records).